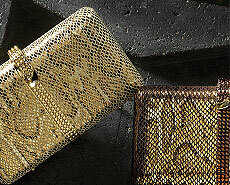 This stylish and contemporary minaudiere is made of gold-accented tilapia leather for a fashion-forward look. 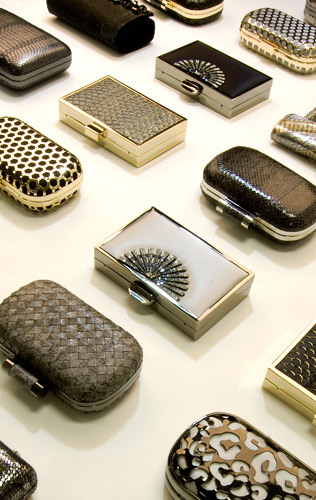 Dress it up as an exotic evening bag for a special event, or dress it down as a chic minaudiere for date night. Wear it from its short chain or slip the slim chain inside to carry it as a glamorous clutch.